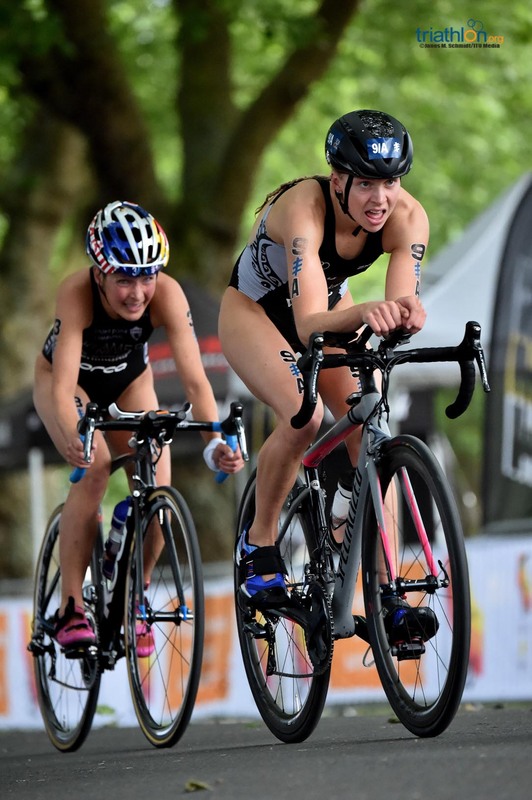 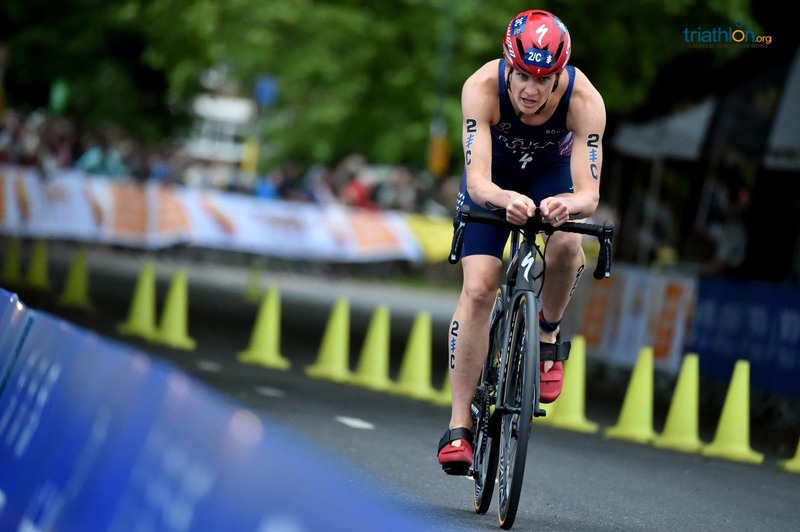 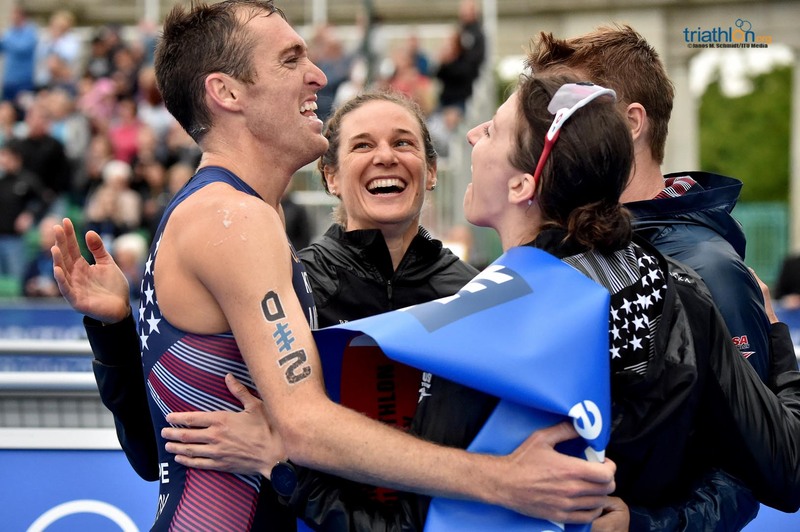 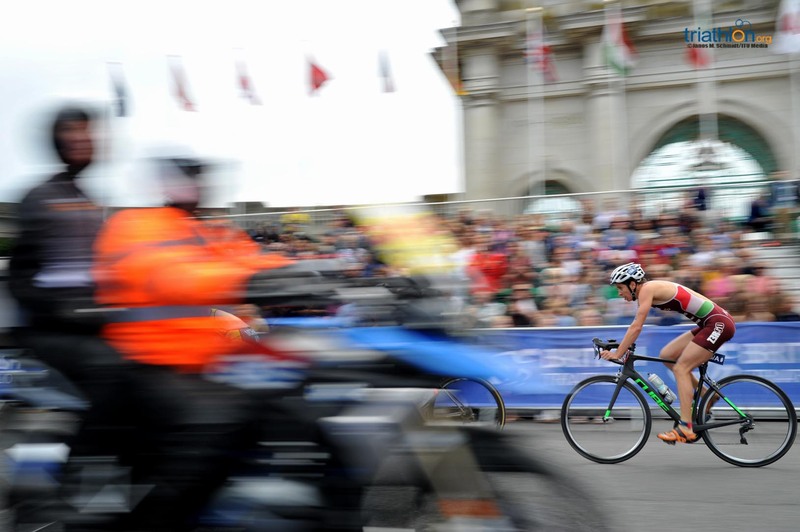 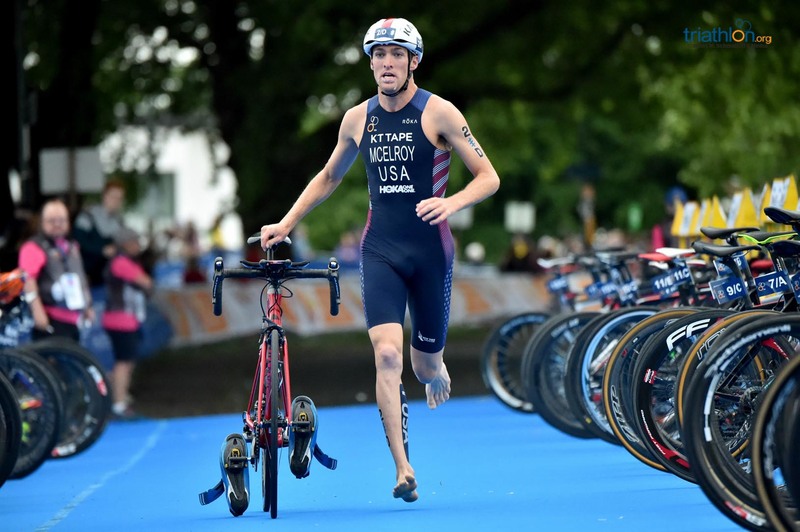 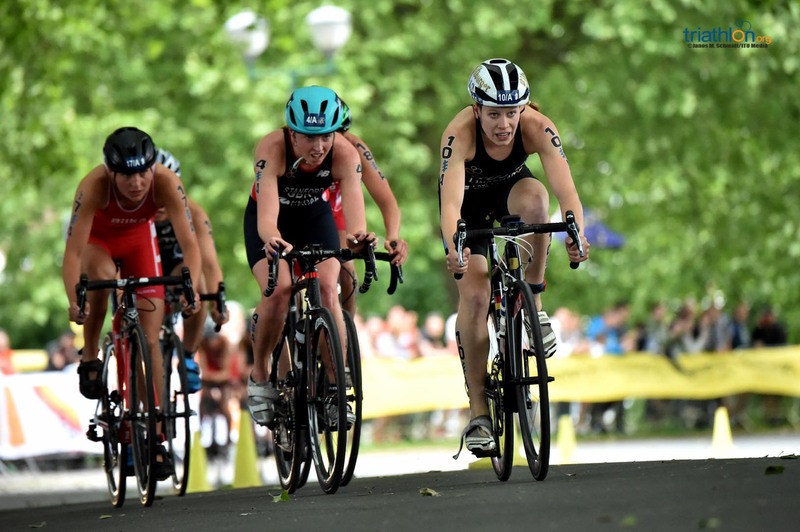 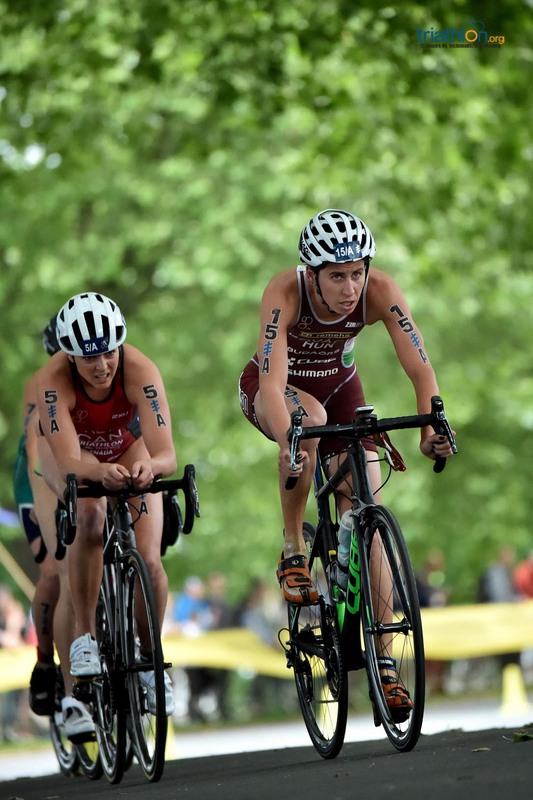 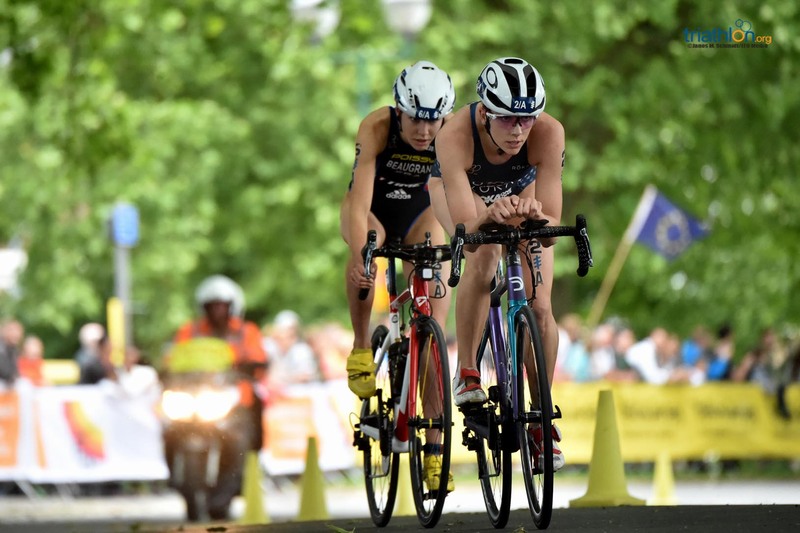 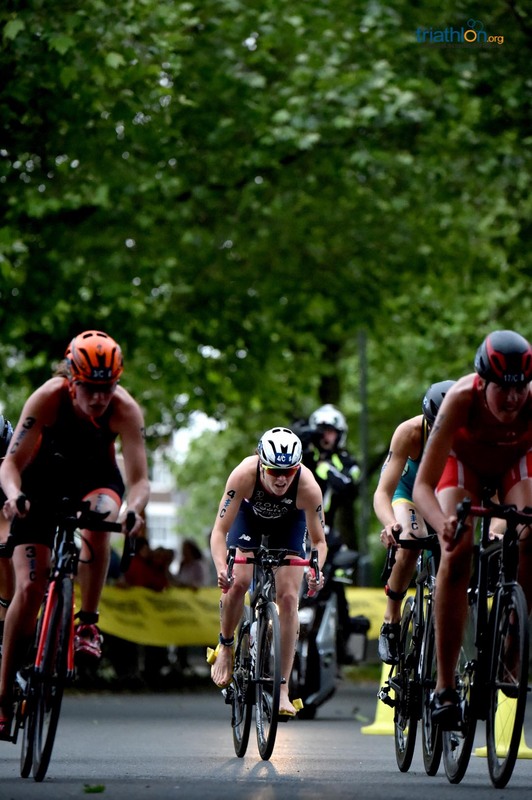 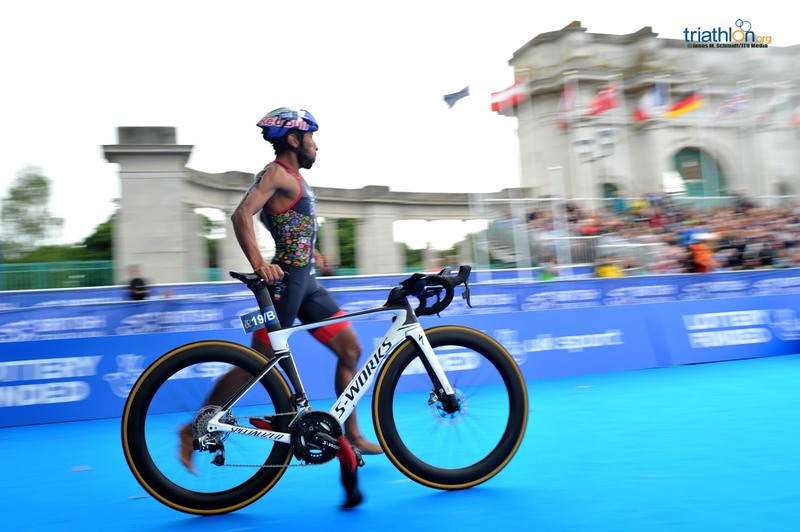 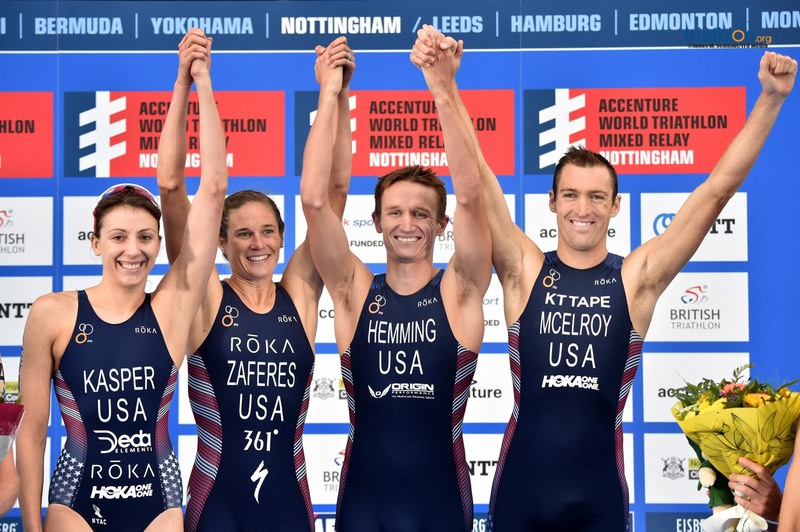 Thursday’s first stop of this year’s three-leg inaugural ITU Mixed Relay World Series set the tone for Hamburg and Edmonton to follow, with the 18 teams of four delivering plenty of high-speed thrills on a rapid Nottingham course. 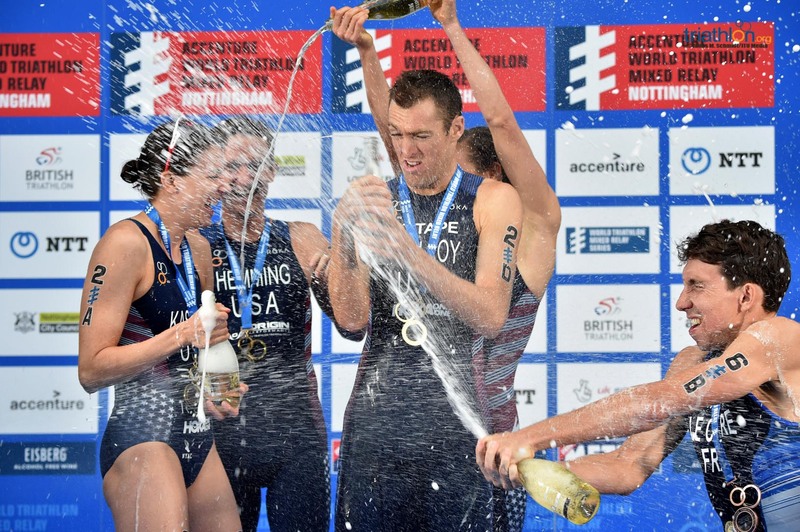 It was a glorious afternoon that greeted the athletes, and the huge crowds were given a multi-sport feast as the USA team flew to victory, finishing ahead of Great Britain in second place with France coming home third. 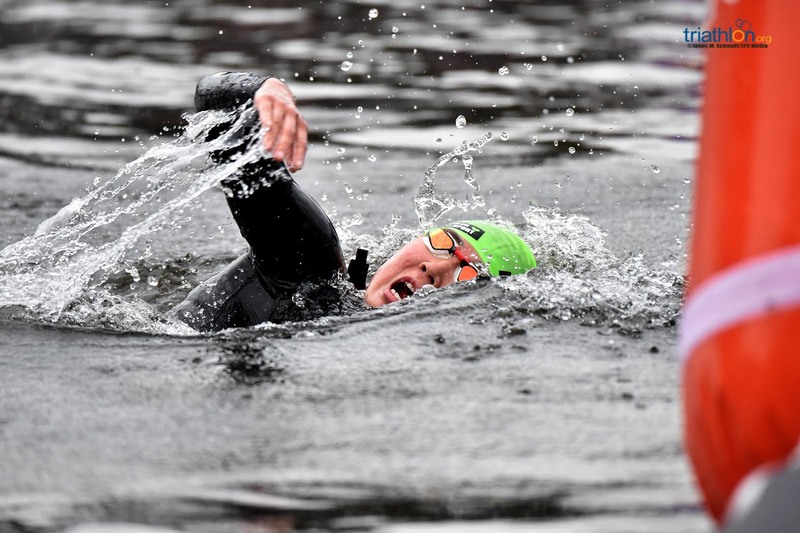 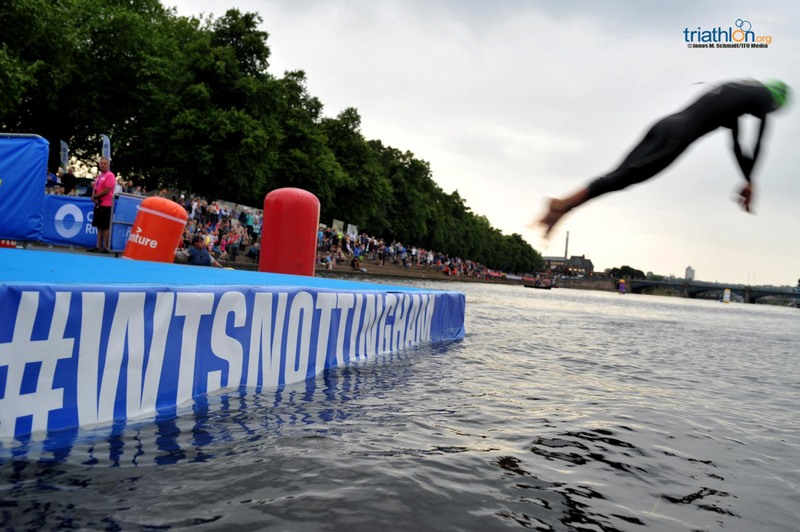 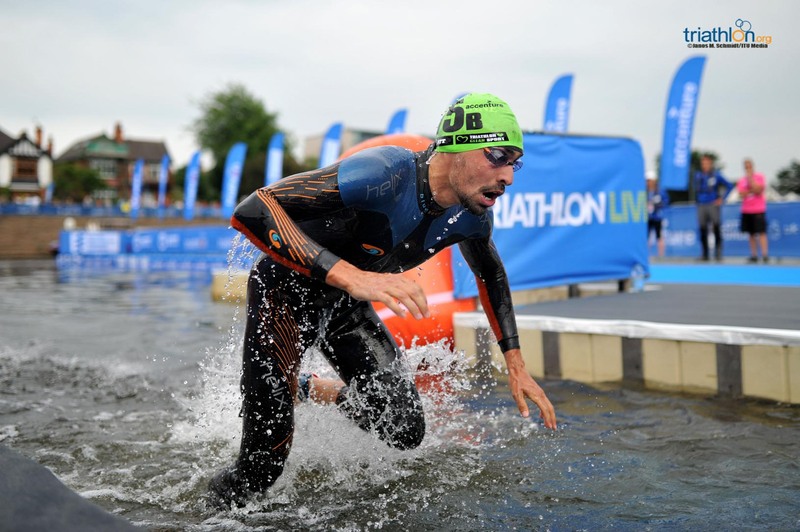 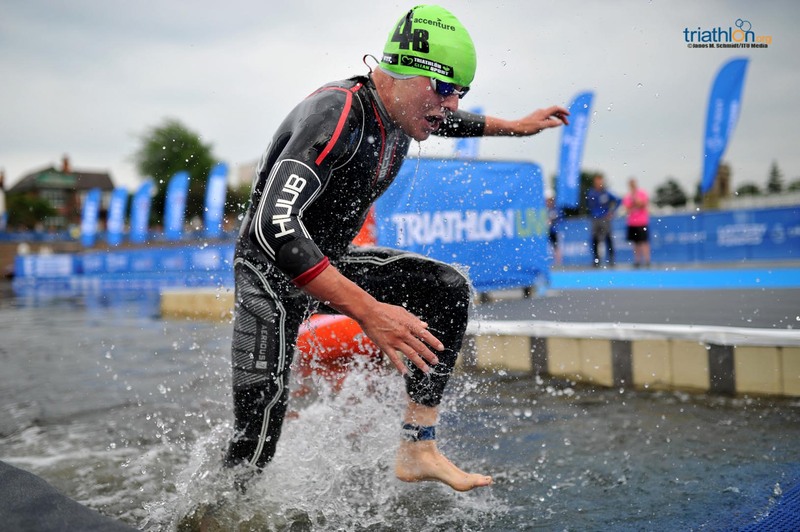 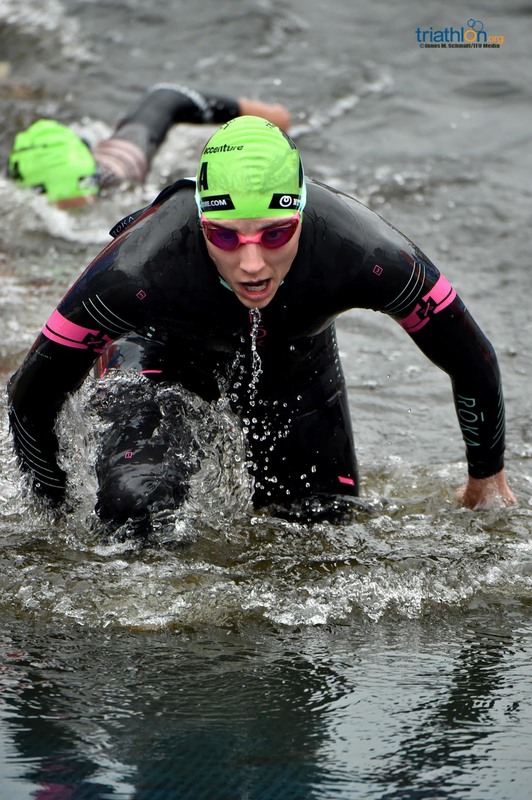 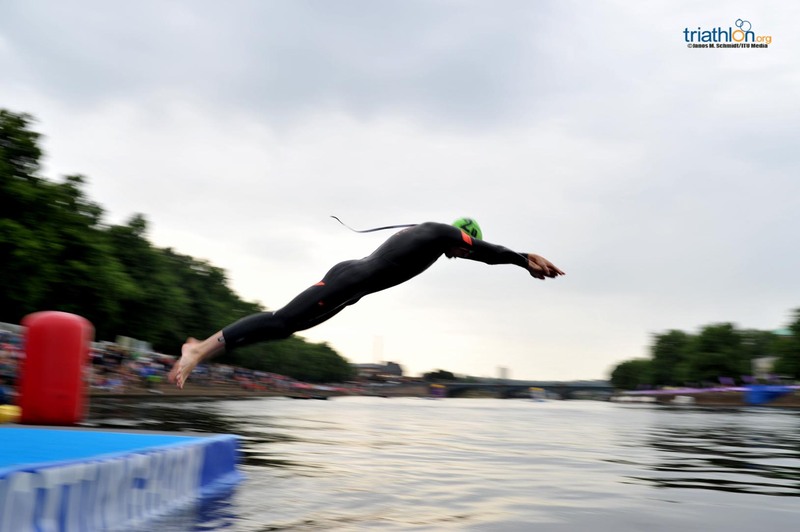 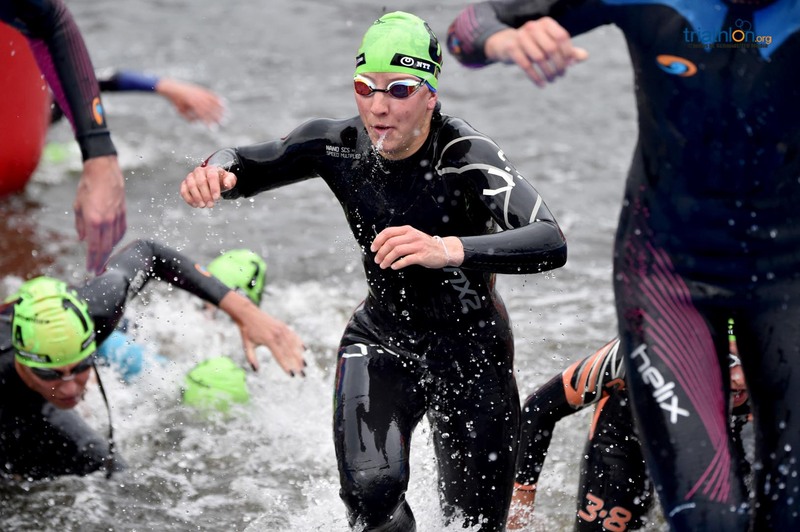 With two men and two women per team, the flat 300m swim, 7km bike, and 1.5km was always going to be a high-velocity affair, and each intense tag was followed by a spectacular running dive as the action returned to the River Trent. 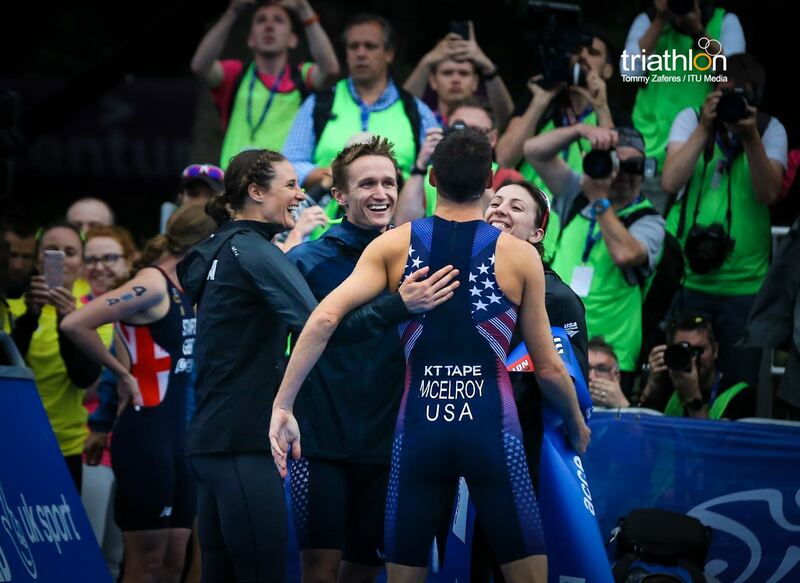 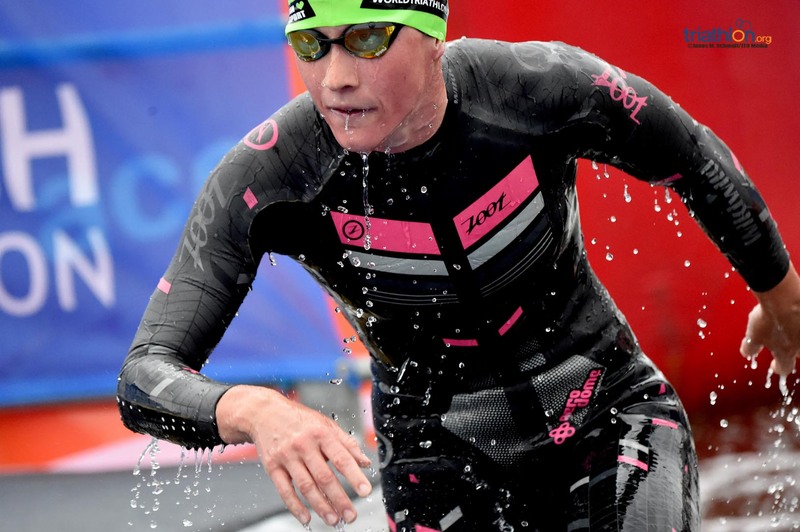 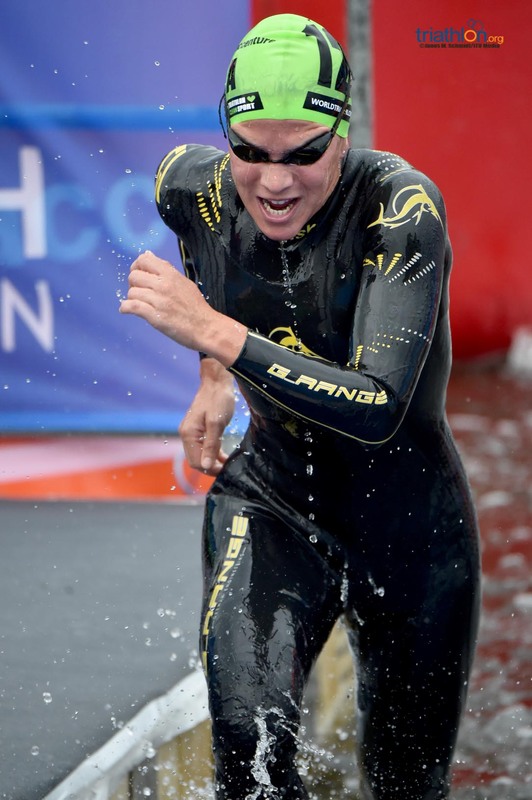 Indeed, it proved to be a brilliant swim and bike section from Katie Zaferes that was decisive, as first she ate into the early French lead and then stretched away, leaving Matthew McElroy to steer Team USA to victory. 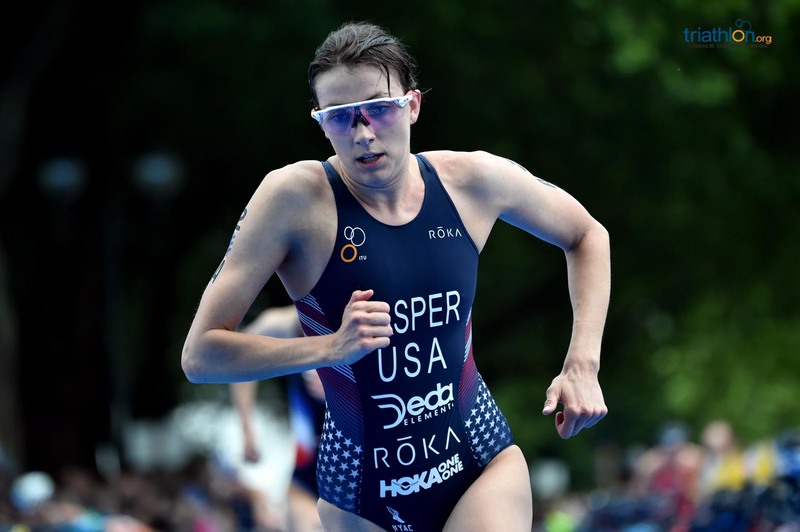 It was the Americans who set the early pace as Kirsten Kasper was first out of the water closely followed by Spain’s Anna Godoy Contreras and Cassandre Beaugrand of France. 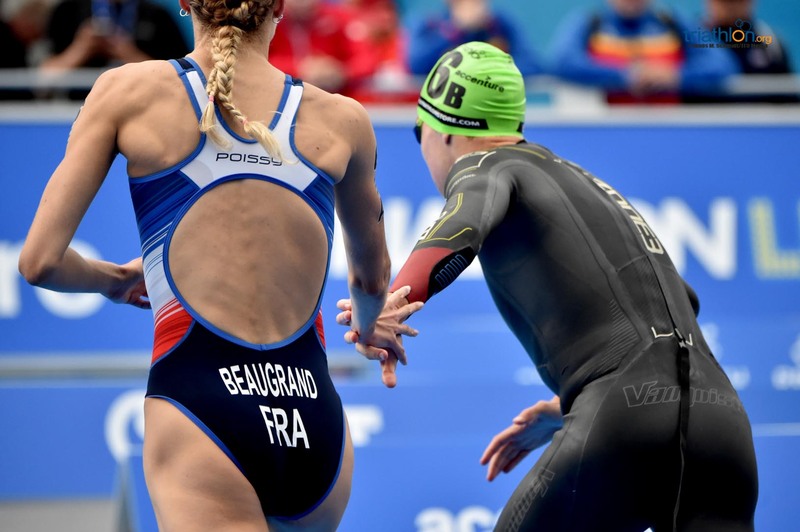 Britain’s Non Stanford and Italy’s Angelica Olmo had also enjoyed excellent swims, but it was Beaugrand who pulled away and was able to then power past Kasper to give France the advantage through the first handover. 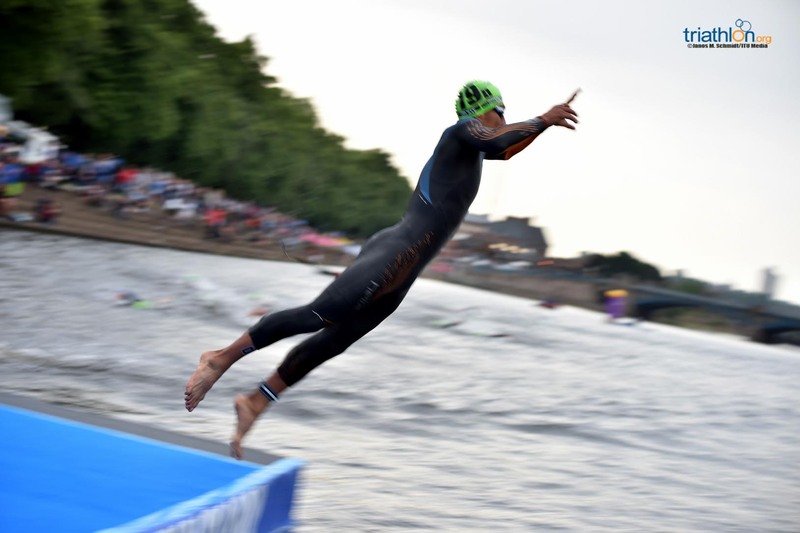 Pierre Le Corre flew into the water for France along with a spectacular dive from Germany’s Jonas Schomburg. 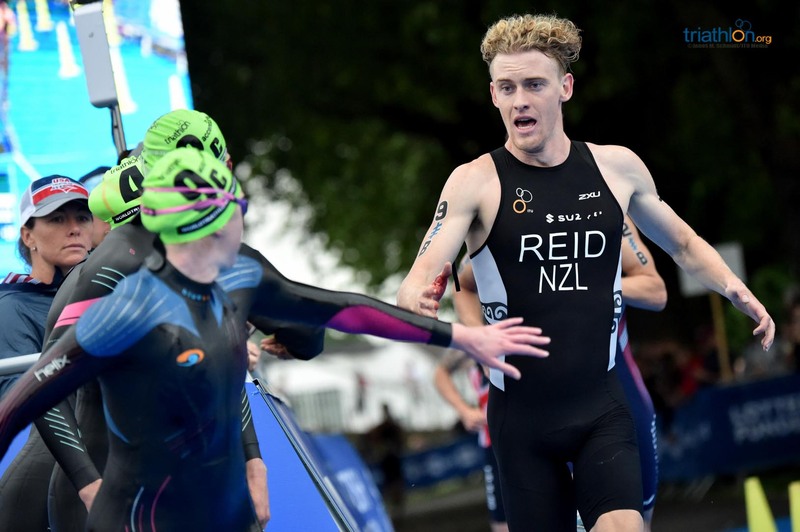 USA’s Eli Hemming and Great Britain’s Thomas Bishop were in pursuit, but there was little catching Le Corre until a rapid transition from Tyler Reid saw New Zealand also suddenly into contention. 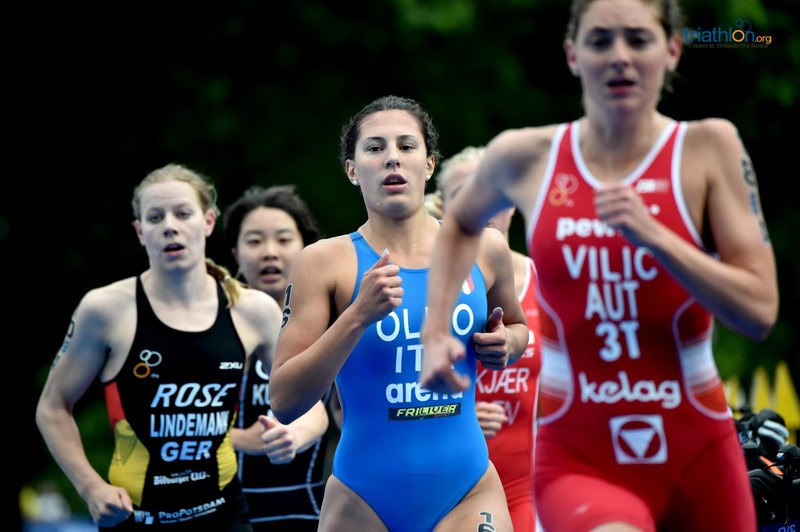 France maintained their lead as Le Corre tagged Mathilde Gautier and she took to the water, but it wasn’t long before Zaferes had the USA team back out front, eventually taking a solid lead through T1 after a perfect swim. 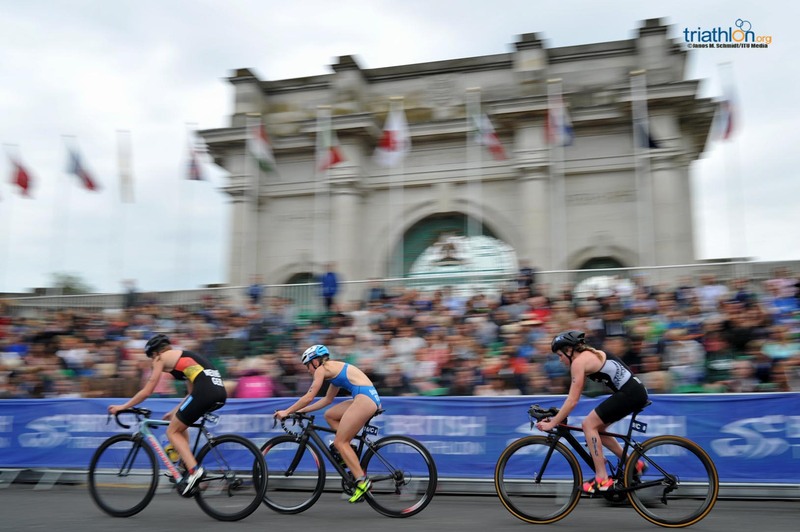 It was a similar tale on the bike as Britain’s Vicky Holland, Australia’s Ashleigh Gentle and Anne Holm of Denmark failed to make any significant headway from within a chasing pack of five. 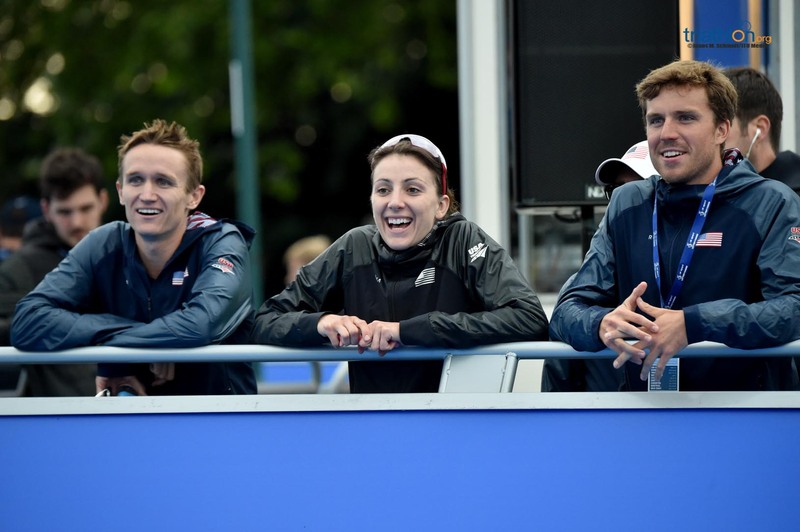 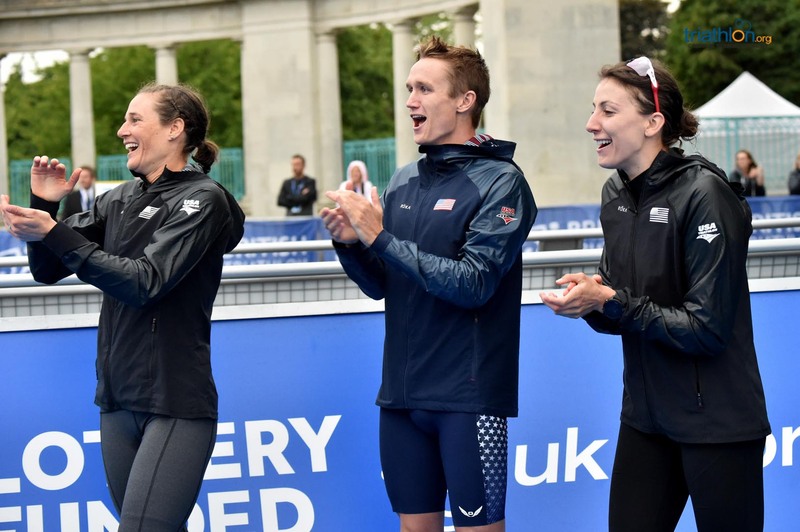 The final handover saw Zaferes to McElroy and Holland to Brownlee as the race entered its final stage, and the crowd sensed some hometown magic from their Olympic hero. 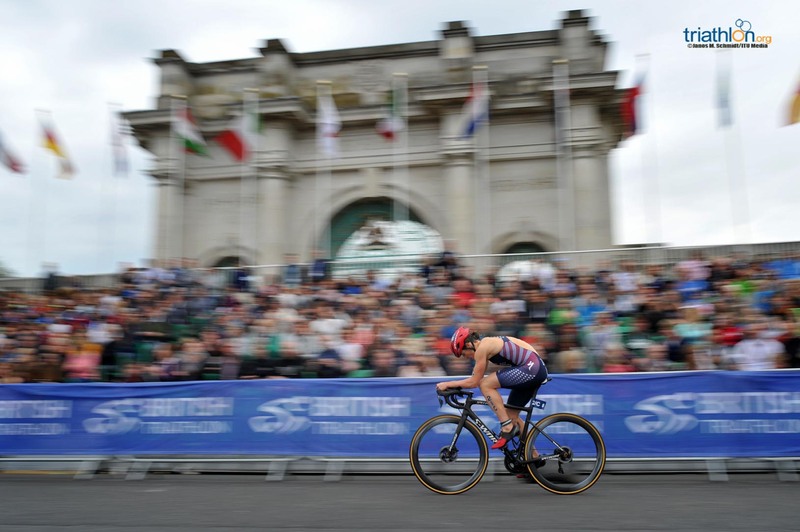 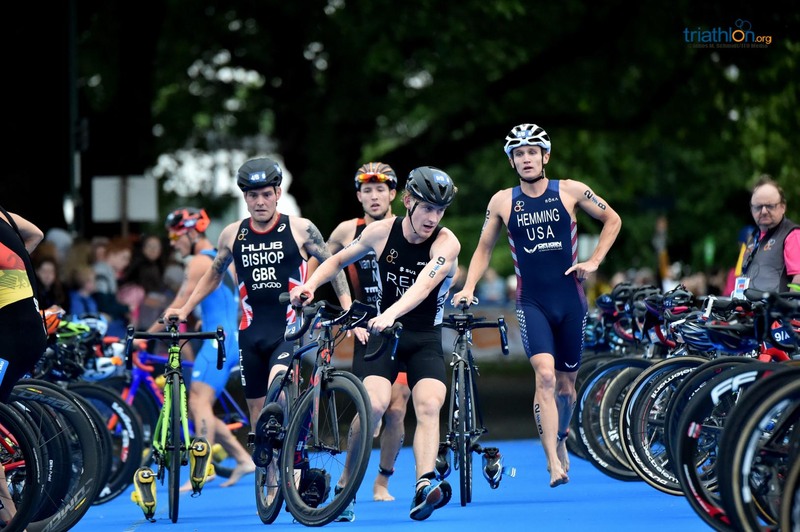 The cheers clearly spurred the Brit on, but McElroy maintained that lead through the swim and it was only on the bike that Brownlee was able to cut into the 30-second advantage. 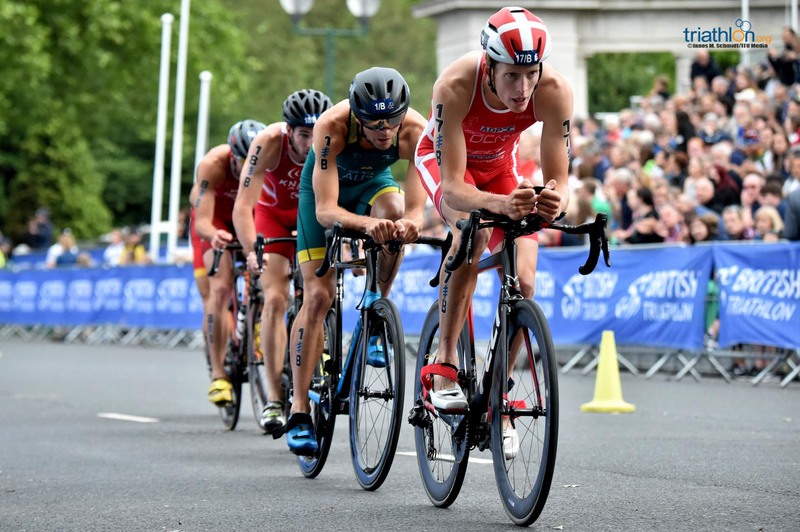 Meanwhile, France’s Leo Bergere and Australia’s Ryan Bailie were locked in a battle for third. With just 1.5km to run, McElroy’s lead never looked in any real danger, and despite Brownlee putting in the fastest final leg, it was Team USA who took the tape and the gold. 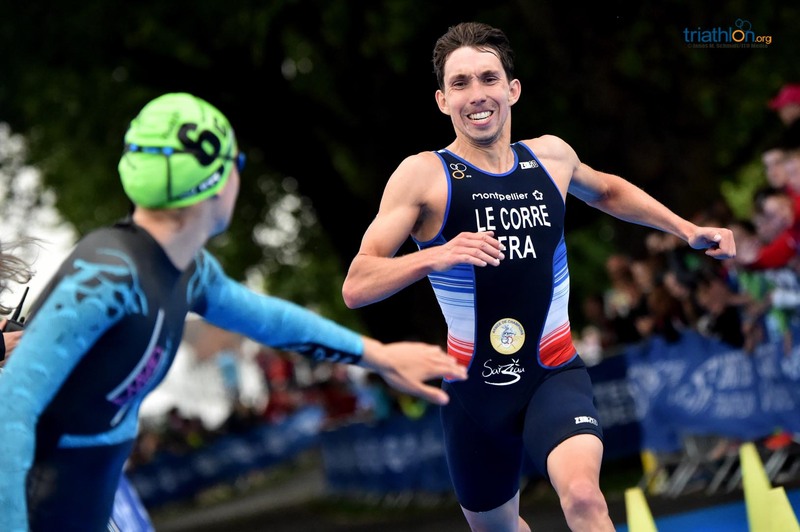 With Great Britain already well home, a sprint finish between Bergere and Bailie saw the Frenchman edge the bronze to the delight of his teammates. 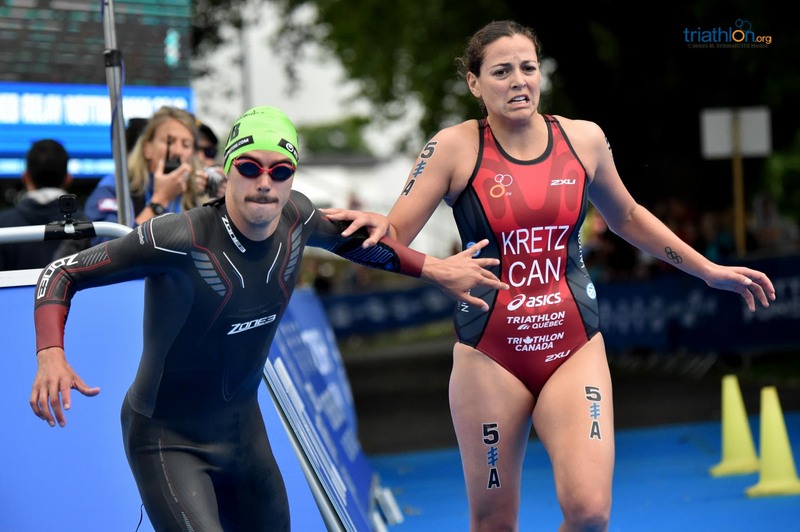 “We all gave it everything but the Americans are a strong team… I think the day belonged to Katie Zaferes. 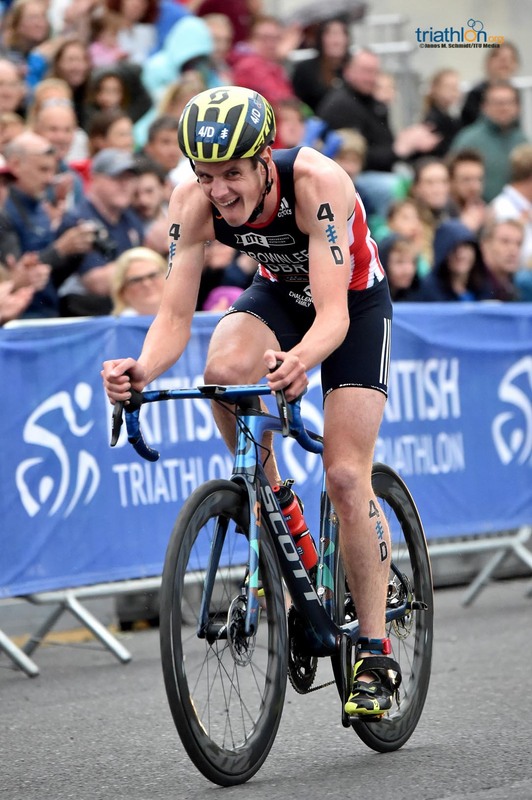 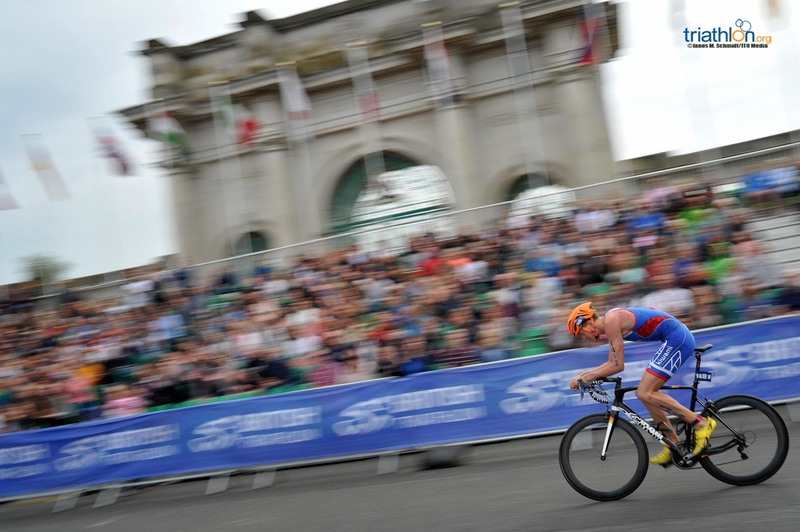 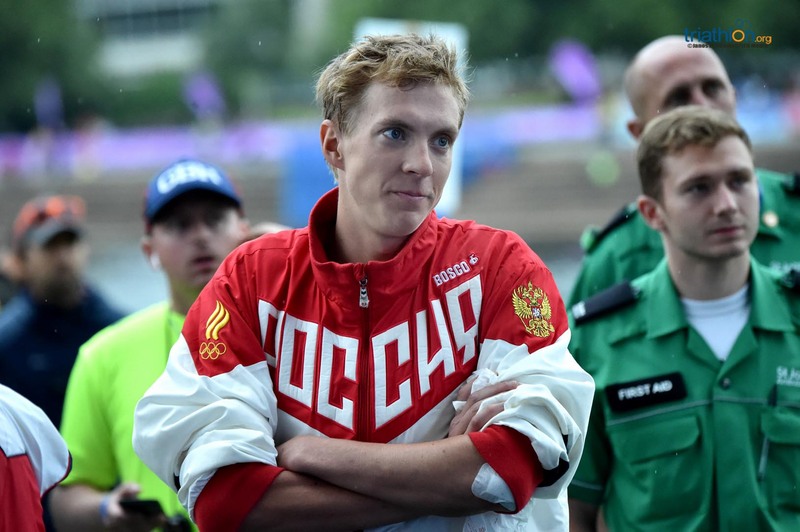 I was never going to catch him on the last leg but I gave it my all,” said Britain’s Jonny Brownlee afterward. 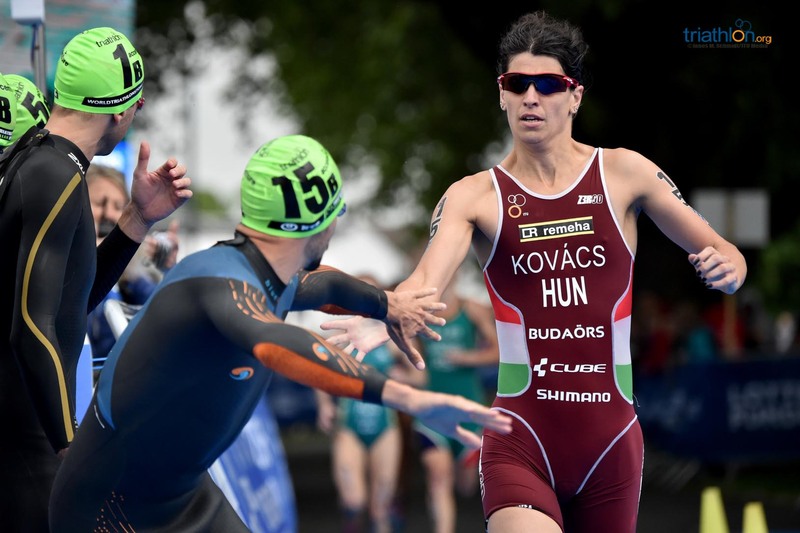 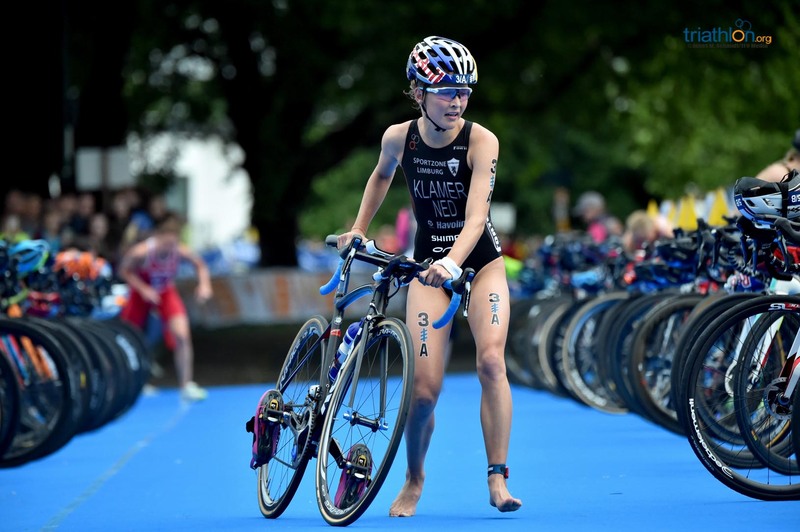 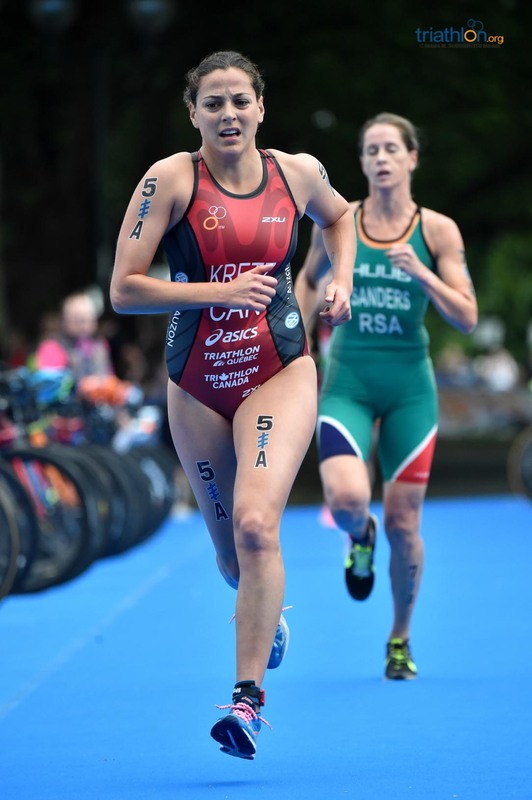 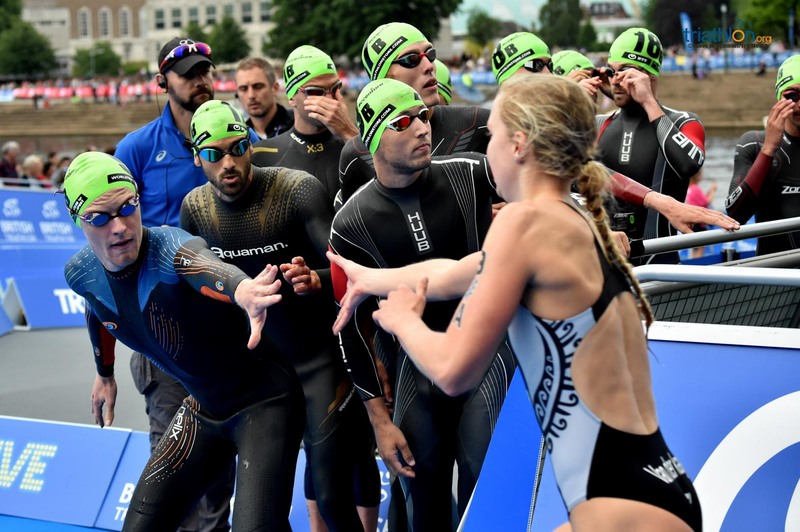 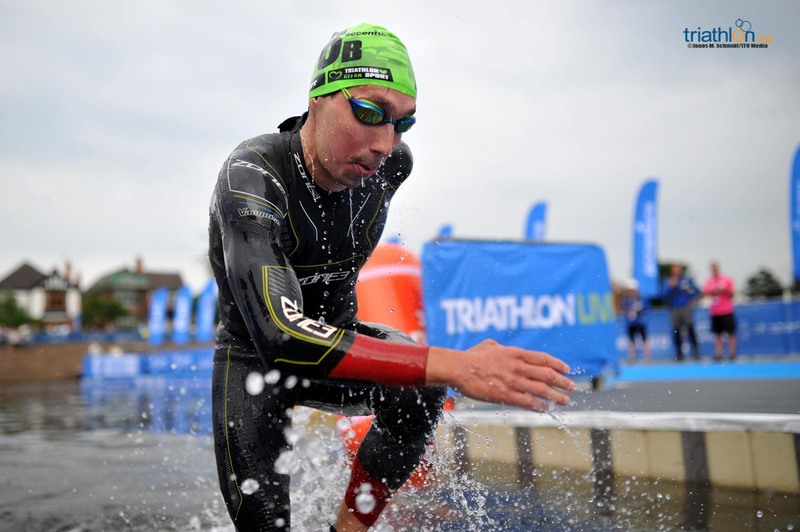 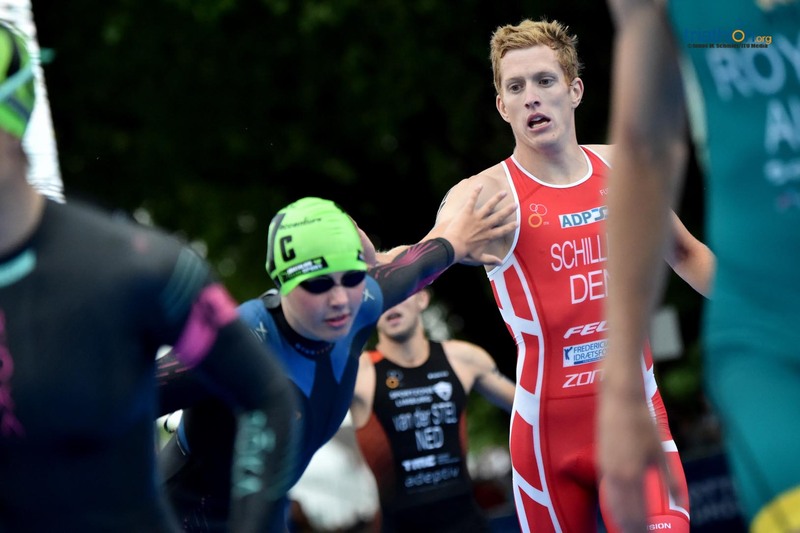 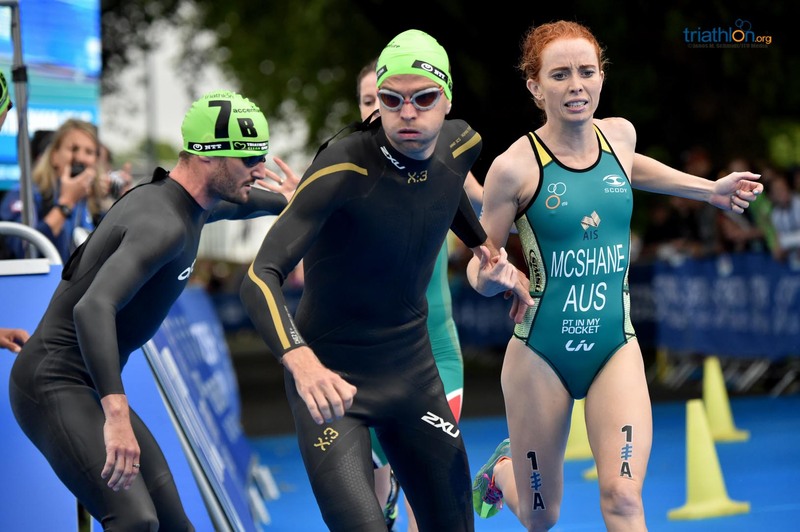 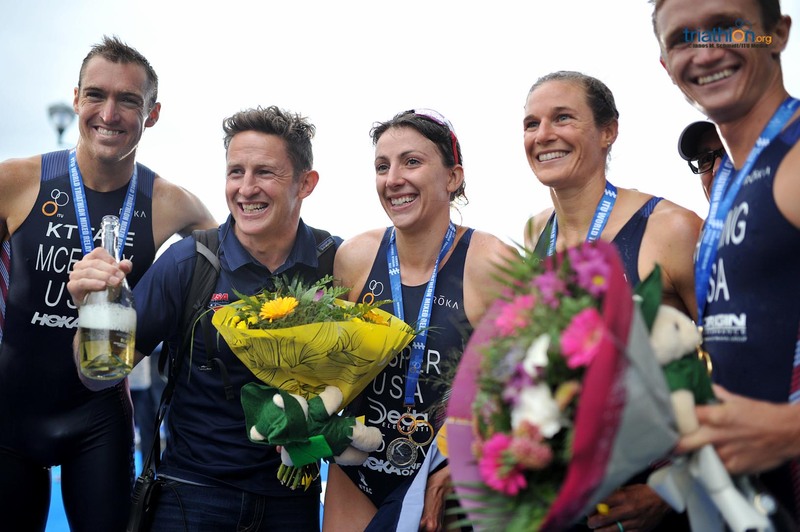 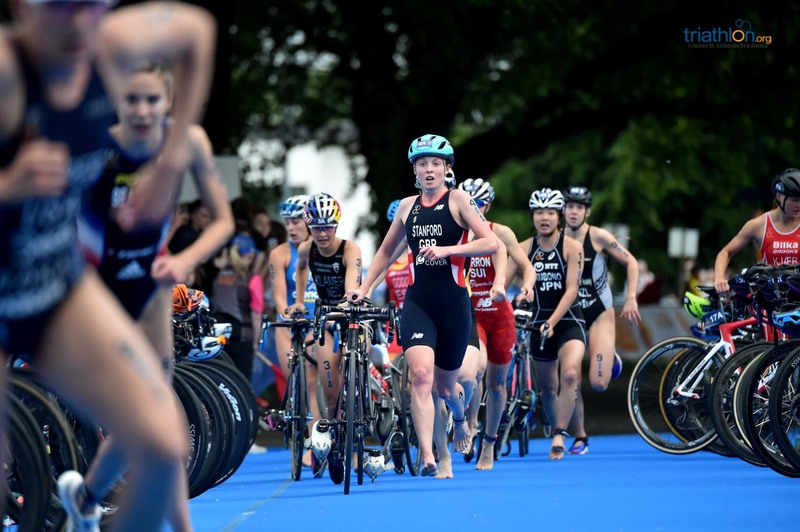 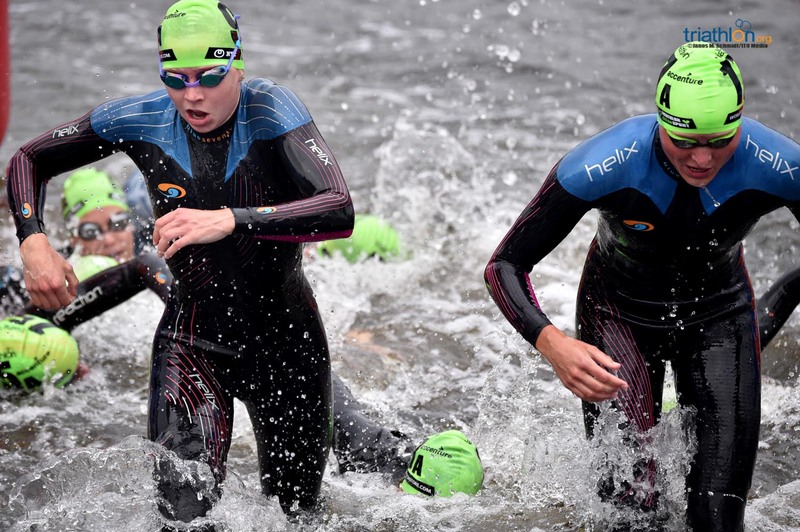 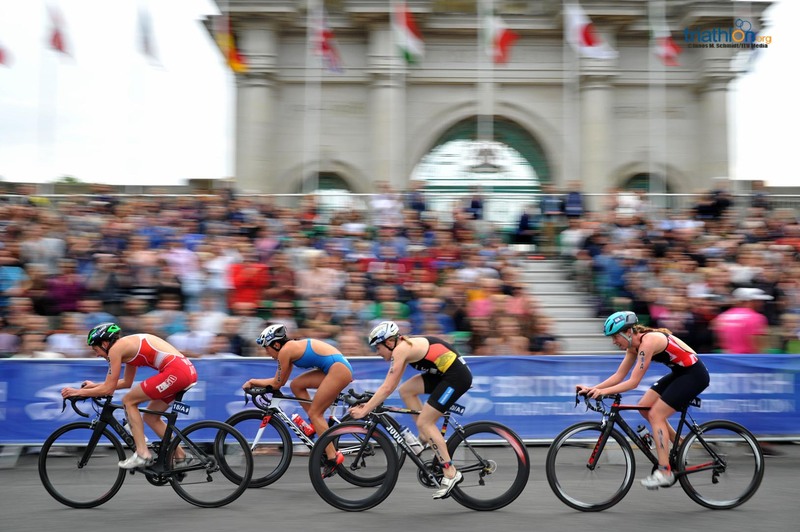 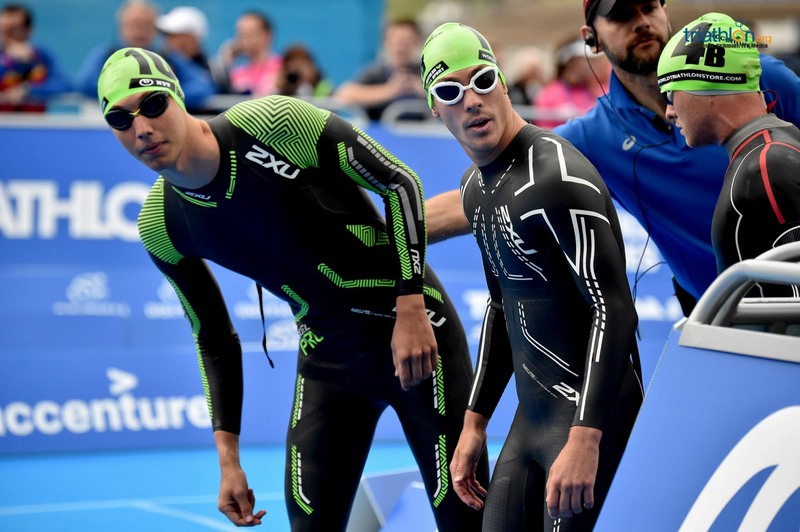 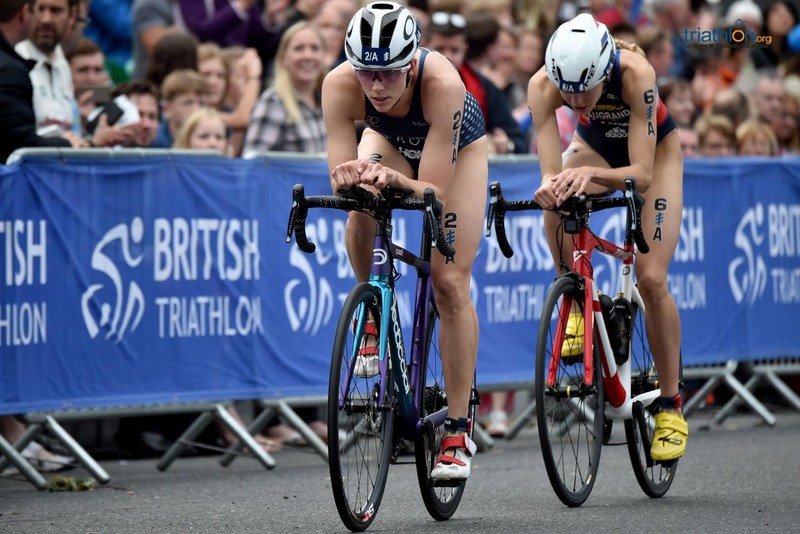 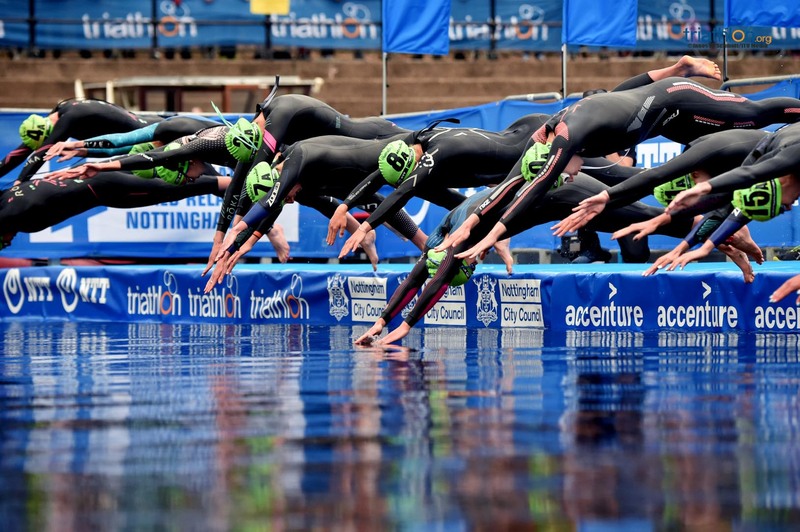 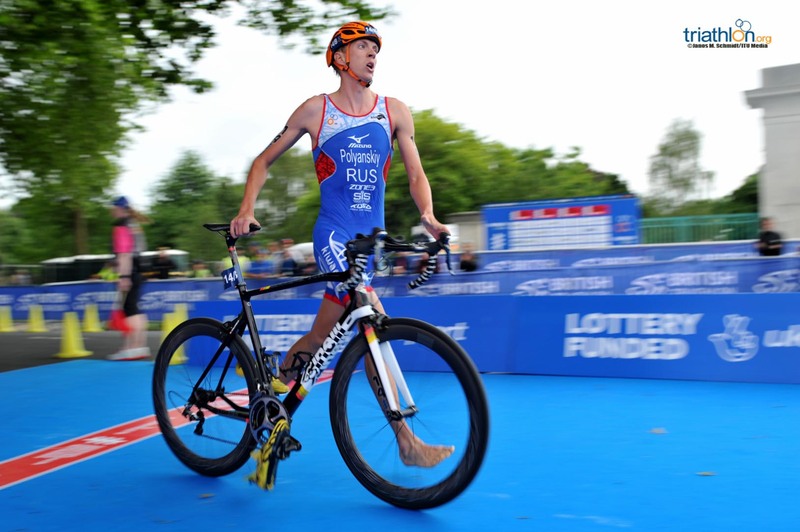 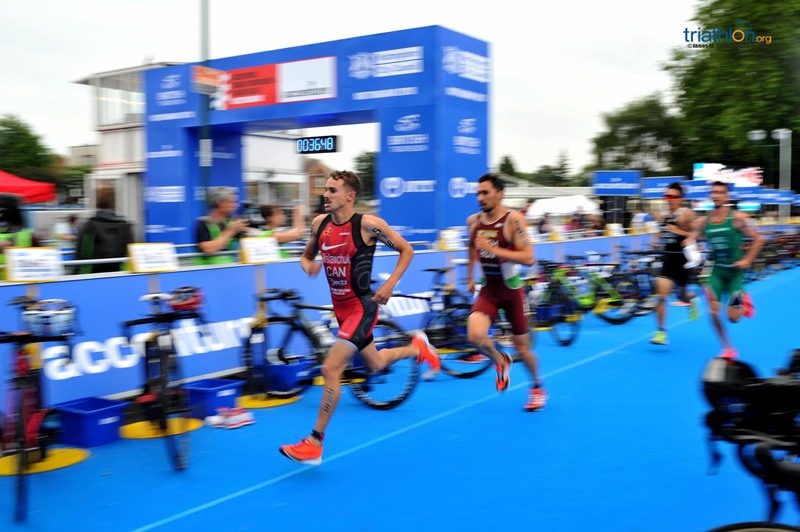 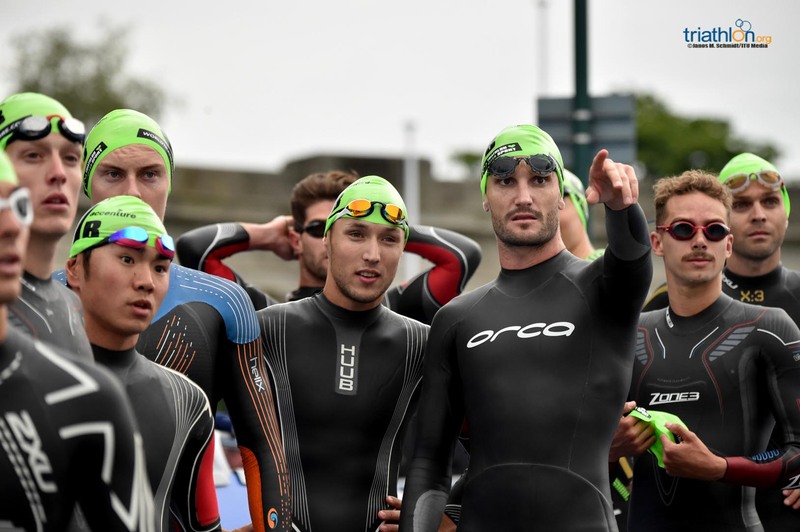 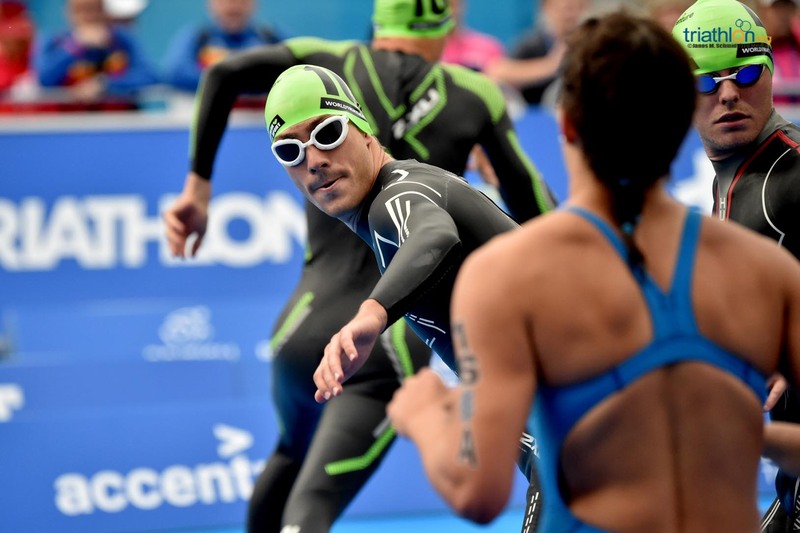 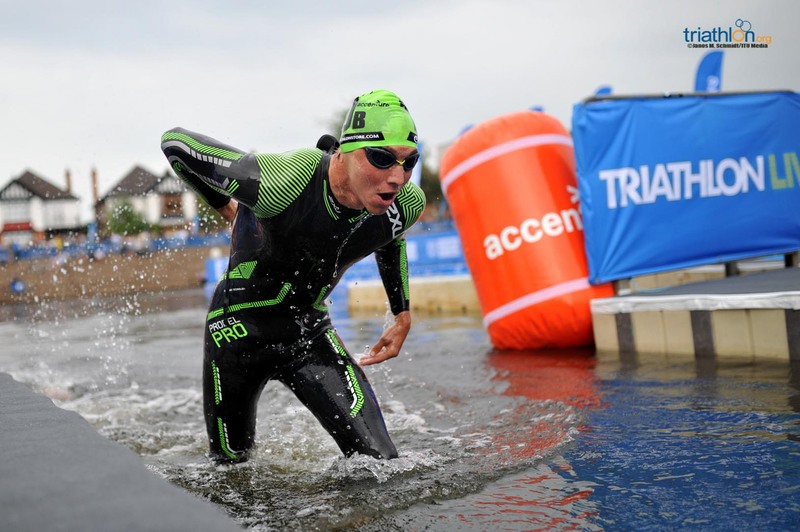 The first ever World Triathlon Mixed Relay Series was underway in fine style, and with Hamburg and Edmonton to come, the tone has been set for a thrilling addition to the ITU and Olympic programme.